Nevis’ own triathlon has gone big-time, winning endorsements from a major sports organization and the sport’s leading magazine, giving the competition two big boosts in advance of the March 16 starting gun. These developments are significant for the Federation, Mr. Crooke said. “They mean that millions of individuals around the world will be introduced to St. Kitts- Nevis for the first time by race day on March 16. It is also likely that hundreds will visit the Federation as a direct result, not just in this year but in years to come as the event continues to develop,” he said. Organizers are continuing to work to raise the race’s profile on the international scene, Mr. Crooke said. 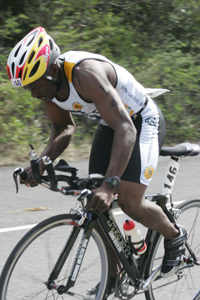 The St. Kitts & Nevis Triathlon Federation and the Nevis Cycle & Triathlon Club are the organizers of the race. Other events on the group’s calendar are the Cross Channel Swim on March 23 and the St. Kitts-Nevis National Triathlon Championships on April 13.